We’re all guilty of it, spending hours on our cell phones or laptops scrolling through social media timelines like we get paid to do it. Regardless of what your reason for getting lost in a social media session for hours is you could be using it to build your style. Now you can with these simple tricks to build your wardrobe, search new trends, and even everyday hacks. There is list upon list of social media apps you have saved on our phone….right? Thing is, they all serve a different purpose. My personal favorite for ispirational purposes is Instagram. Why? It’s a visionary world in real time. The main objective here are amazing pics….period. Let’s discuss 3 Simple tips you can use while surfing social media to build your personal style and your life. For this example, we are going to used…. you guessed it, Instagram. Hashtags are a perfect way to do brand research, personal research, and to simply browse the app of whatever inspires you. If you want to know what’s new, what’s going, a particular brand, or the quality of their products and services this is an easy way to do it. I mean, look at all the goodness I got from seaching #fashioninspo. This is straight marketing! Many brands (especially large ones) tend to direct your thought process through ads and other marketing strategies and they often used hashtags to do it. I’m always hashtagging my style tools and current events on my social media pages. They are like the yellow pages of products, services, brands, and everything else. I don’t care what you are looking for, just use hashtags as a way to find it. Before I move on I need you to be 100% honest… Do you lurk? If you said no I’m going to be forced to call you out on your BS! But first, what is lurking? It’s simply browsing without liking or commenting. I’m just not the type to come accross a page and like 50 pics, I’m just not. I’ll like 3 and lurk through the rest, which in my opinion is normal social media etiquette. Hit up the trending or explore pages to see what’s in the headlines. I found a stylish page that sells really chic frames and swimwear on the explore page. Social media was created to get people to ‘connect’ and ‘get to know’, that’s exactly what lurking is. However, don’t get it confused with lurking-lurking, like in a creepy stalker kinda way. I’m by no means telling you to get crazy lurkish (yeah, I said it) liking and commenting on every single pic. I mean I know a you may want to get your algorithm up but that’s not the way. Use social media to experiment and step out your comfort zone. The key is to not compare your life to others or wish you were them, that’s not the case at all. Simply be inspired and motivated to get more creative on your terms. You and I both know social media is a money game too. The ads, promotions, shout outs, follows, shares, it’s all a way to create income. With the increase in small business affiliation, discounts, and promotion codes they are great for small and large businesses all the same and customers are reaping the rewards as well. I’m talking savings on everything from great hair extentions to undies. Look at the example above of my girl Apryl Jones of Love and Hip Hop Hollywood, I ordered this weight loss tea based off this post alone and saved 30% too. 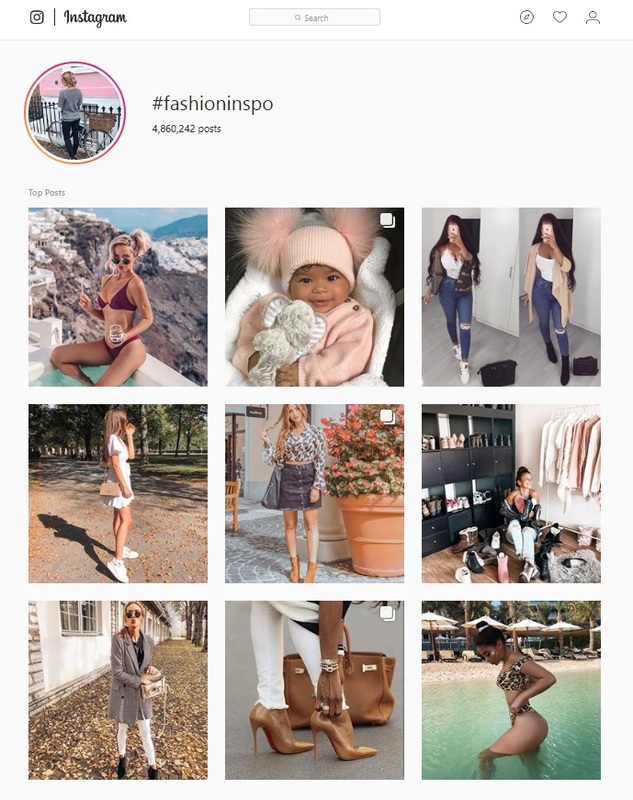 If you are inspired by a particular fashion blogger who is affiliated with brands you like or those you would like to try, this is a game changer. Keep an eye out for those affiliate posts and feel free to search ‘affiliate’ if you are really committed to the game. There you have it! 3 Simple tips you can use while surfing social media to build your wardrobe and your life. Also, pre-order The Style Code: LOOKBOOK for a more detailed approach to styling the trends and experimenting with colors, and fashion period. You’ll also get FREE access to the Style Call and a chance to win $100 when you pre-order now. Click the button below get your copies and claim your goodies.